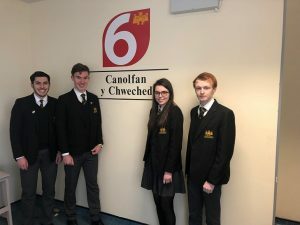 Ynyr Jones, Dylan Burkey, Angharad Huw and Sion Edwards – are 4 of our year 13 students at Ysgol Brynhyfryd 6th Form who received a financial contribution from the Goodmans and Ruthin Charities whilst in year 12 last year. Ynyr was able to use his funds to travel to Patagonia to promote the Welsh language and Dylan went to Africa with the Cadets. Angharad and Sion used their contributions to support them as they travelled to Manchester every weekend to attend the Royal Northern College of Music. 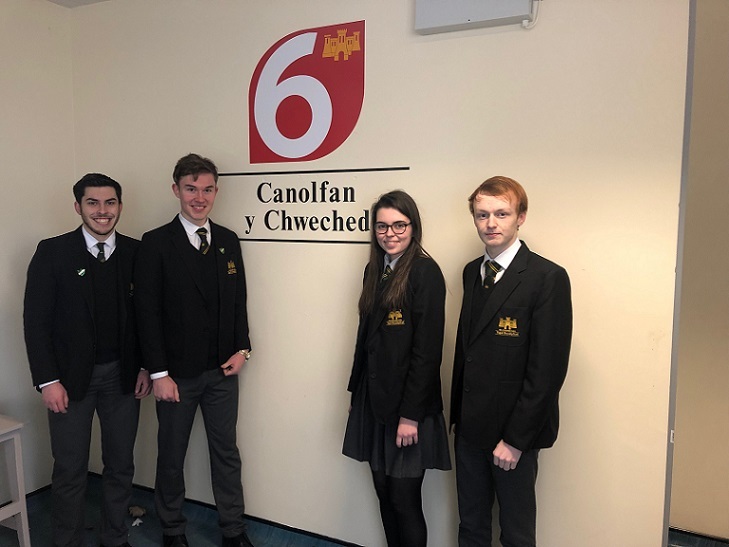 All four students attended the last meeting of the Committee of Goodmans and Ruthin Charity in order to present to each member how the funds helped them personally and also to thank them in person for the financial contribution and the opportunities that these funds offered to them. An absolutely wonderful and generous contribution, Ysgol Brynhyfryd would like to thank the charity very much for giving our pupils such wonderful opportunities.